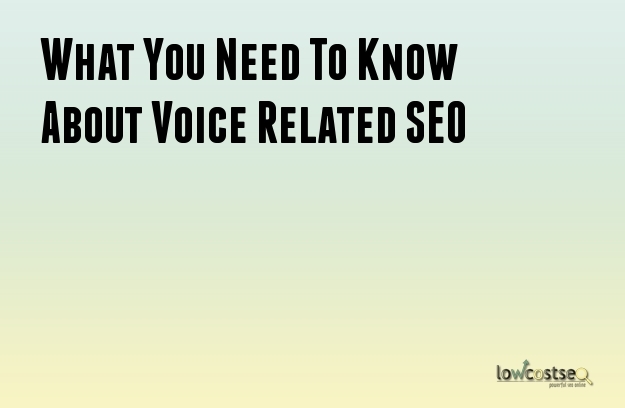 What is Voice related SEO? It is a type of SEO that uses natural speech patterns when making an online request. Voice search uses the combination of Natural Language Processing and Text-to-Speech to understand a user’s voice search request. So whatever the user is saying it is translated thru text and is doing the same way just like when you type it in any search engine. Its way easier to use since you don’t have to take time typing the letters in and way faster of course. Since the Voice Search was released different companies released their own Voice search application. Even Technology Companies has to design their devices with a pre-installed voice search app just be updated with the most recent trend. Apple has Siri, Microsoft has Cortana, Google has its own Google Voice and Yahoo has a merger with Yelp just to compete with the others. Though the voice search application is available on home computers and laptop its greatest popularity remains with mobile devices users. You can use these apps if you want to check future flights, ordering pizza, hotel reservations and many more. Imagine the convenience that these apps could give you, Instead of opening a browser and typing all you have to do is just to tap on your search app icon and speak into your phone or device and voila! You have the searchers that you need. You might reconsider installing a voice search app on your device because of the disadvantages but as for me I would definitely grab one. It would be very awesome and would definitely make you look cool and tech savvy.